Kaiser Back Institute / Penn Station Chiropractic (New York) - Book Appointment Online! Dr. Kaiser has been a miracle worker. I first saw him because I was in terrible pain following a recent fender bender. 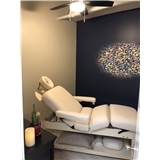 He treated me right away and also assured me that he would only adjust my back after the issue causing my lower back pain was resolved. He stayed true to his word, instead employing other devices to heal my back. Although he doesn't take my insurance, I've been faithfully going back to his practice since he first started treating me, and I've seen amazing results. After only one month, I am back in the gym twice a week. He and his staff are incredibly kind, attentive and professional, and I've recommended the practice to several friends.